These days our work and leisure routines involve the usage of machines and gadgets. It won’t be wrong to admit that internet makes most of the modern gadgets work. Hence the need to get connected to internet has augmented. Let’s find out which is the best Virtual Router Software for Windows. Which is the best Virtual Router Software for Windows to share internet connection without using any hardware? A router is used to share internet connections further. 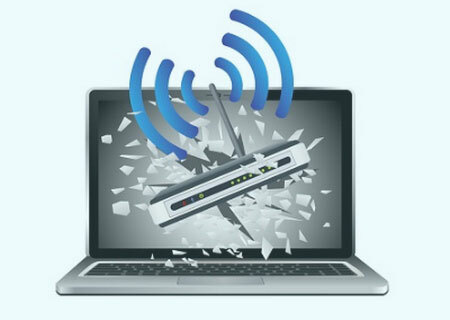 Going by the book we used to need a physical router to make it happen however there can be numerous occasions where a physical router is not available. 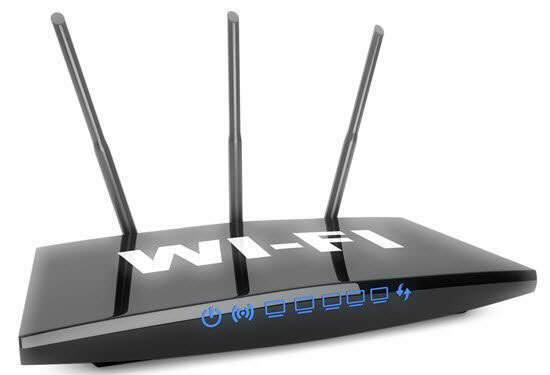 In these circumstances need to find the best virtual router software arises to share the internet connection among multiple users and you can even extend the WiFi range without a wireless router. 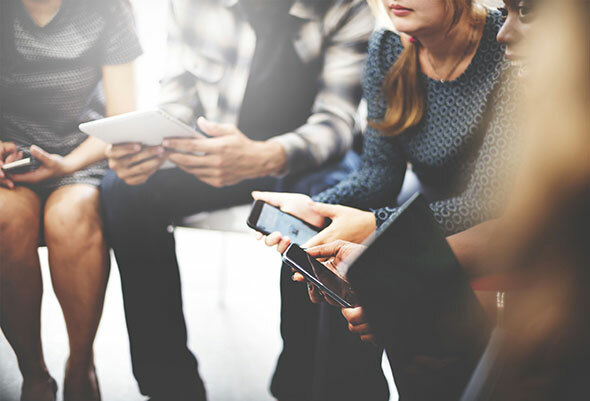 Sharing an internet connection over Wi-Fi is the most sophisticated and hassle-free way to allow internet access to the multiple users in vicinity. 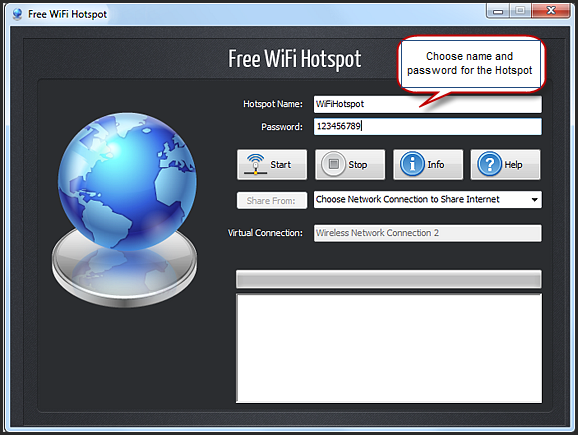 Free WiFi Hotspot is a handy virtual router software for Windows that can be installed on your laptop without paying anything and enables your machine to serve as a WiFi hotspot for providing internet access to the internet hungry devices around you. It not only allows you to save the cost of a dedicated routing machine as well as gives you more control to manage the WiFi routing through your laptop or computer. You can use its features to set the conditions and settings according to a particular situation to ensure that your internet connection is being shared to the right people and the right extent. 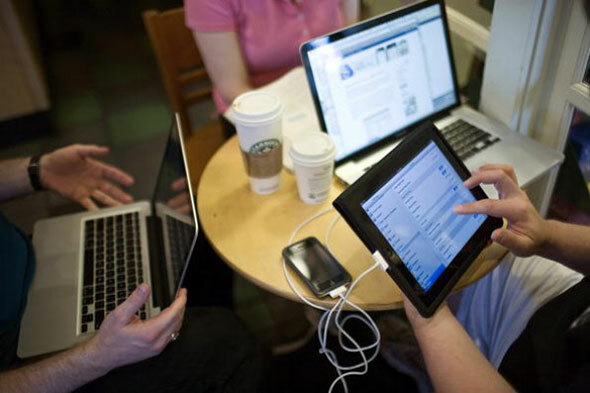 Whether you are sitting in a café with friends or attending a meeting where internet connectivity is not up to mark you can use the Free WiFi Hotspot software to help your friends and colleagues in getting connected to the internet. Yesterday I was traveling in a bus where the internet connection stopped working due to some problem in the WiFi router and a guy sitting nearby had to send an important email. I had a 4G dongle with a monthly package so I turned on my laptop and made a WiFi Hotspot using Free WiFi Hotspot software and shared the password with him to let him connect his phone to the WiFi. 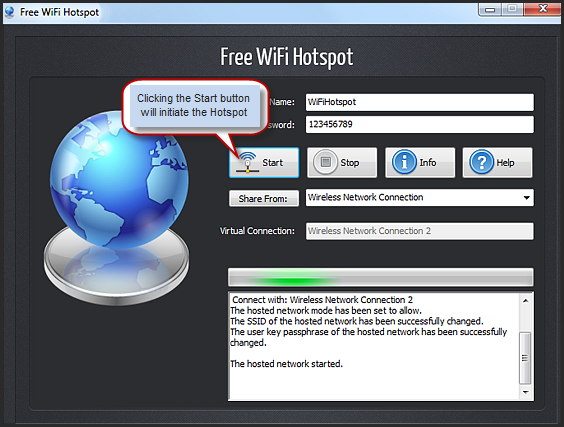 A quick overview about installing Free WiFi Hotspot is shared below with some screenshots to make you familiar with the interface of this user-friendly software. You can change the Host Name from default value to your desired SSID that you want the Hotspot to transmit. You can set it as your name or any other unique word. It is also advised to change the default password so that random user may not get connected to your Hotspot by guessing your password easily. After setting the Name and Password for your Hotspot you have to select the Internet connection that you want to share. This option enables you to share the internet connections as per requirement. In a normal situation you can choose those internet connections which will not cost you a big amount at the end of the month. Now you have to click the Start button as shown below and your Hotspot will start working. In past people used to share internet connections with the help of cables or physical routers that were not free and they also took extra space and power to operate. 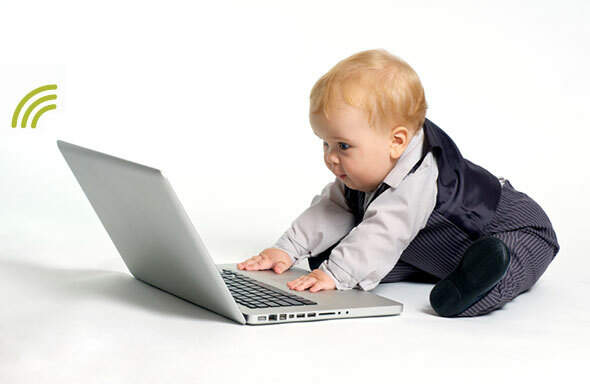 Then some virtual router software emerged but they rendered their services on a certain cost. Despite their cost price itself their routing algorithms were also not that refined to save the computers and laptops from overburdening. Their high-end routing, encryption, load balancing and packet channeling used the CPU for all the processing which affected the performance. It made other processes on the CPU to start lagging and sometimes it resulted in overheating of the machine. The Free WiFi Hotspot has no such issues because we have taken a keen interest to ensure it and many people have successfully installed and used it for free and found it to be the best virtual router software. Students, professionals and laymen have used this software on Windows operating system and shared their positive feedback about it on various platforms. Wikihow, Lifehacker and Wikipedia have endorsed it as a useful freeware and its popularity is on the rise since its launch. The best free software is that freeware which provides you a certain service without putting your machine’s security at risk. Moreover, it will neither grab a huge space on your storage device nor will it put unnecessary load on your processor. 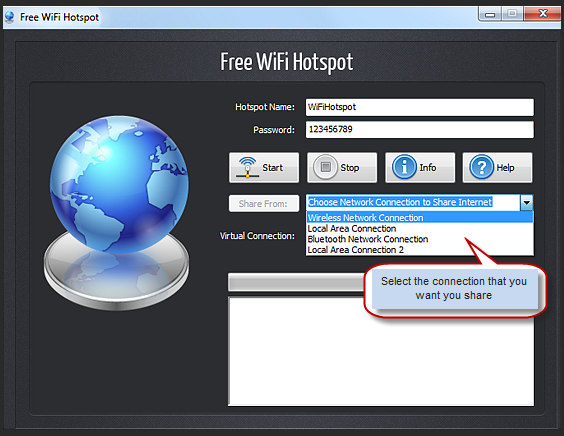 Free WiFi Hotspot is tested to meet all these basic expectations and it’s easy to use graphical user interface makes it stand apart among other variants of virtual router software available in the market. Although most of the freeware comes with limited features and keep prompting the users to upgrade to the paid versions for getting access to all the features of the software – Free WiFi Hotspot doesn’t discriminate among its users on the basis of money or loyalty to the brand. 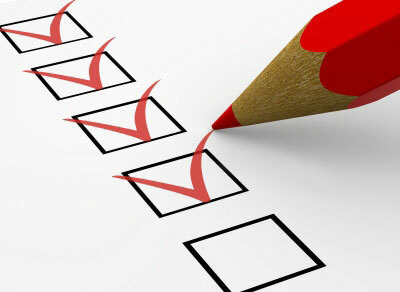 It comes with all the options opened for all the users belonging to any part of the world. Therefore, it can be easily declared as the best virtual router software available on the internet.